This is the amp I wanted but never had, until now. Clean and full frequency response, for power, clarity, and headroom. It takes pedals extremely well, and can get that sweet 6L6 tube tone without being too loud for small clubs. A professional guitarist friend, J.R.S, was playing through a tweed Bassman clone, and it was too much amp for the small clubs that he played in. He couldn't turn it up loud enough to hit the amp's sweet spot, so he resorted to using boost pedals to get that extra drive. This amp fills that gap, allowing you to get that sweet tube amp sound without being too loud for the venue. The circuit design is original, although somewhat inspired by the famous tweed Bassman, in broad general concept kind of way. "Inspired by", in much the same way as "inspired by The Beatles" doesn't mean that you write new Beatles songs. The JRS Special uses a fixed bias, push-pull 6L6 output section with a 12AX7 preamp tube and a 12AU7 tone driver/phase splitter. It's powerful, tight, punchy and articulate. I use the 12AU7 as a tone driver/phase splitter because it pumps more current than a 12AX7. The control panel features Volume, Treble, Middle, and Bass controls, along with the guitar input, power switches, and indicator light. When using the JRS Special, the guitarist will notice clean headroom and low noise. This amp can be played at quiet bedroom or club stage levels with equal ease. The ample headroom also means that it takes pedals really well, but it doesn't mean that you can't drive this amp to sweet tube distortion without splitting your ear drums- you can. It's loud enough, but not too loud the way some of those 2 x 12" speaker 50W+ amps can be. The low noise of this amp also makes it ideal for studio work. Part of this amp's secret lies in the tone controls. 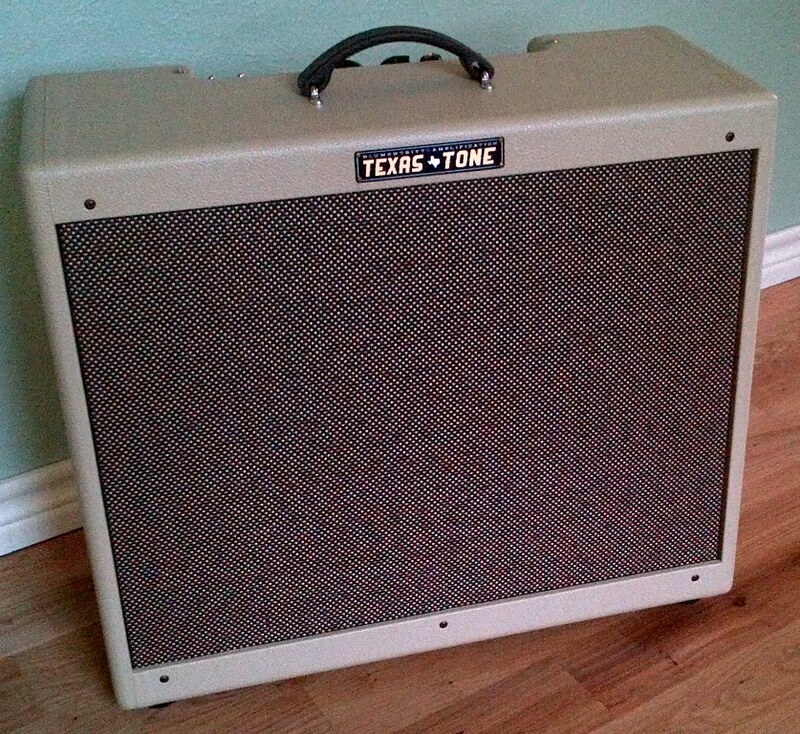 Unlike other vintage Texas Tone™ 12 amps with the single, non-interactive Hi/Lo EQ Tone control, these tone controls are intentionally interactive. With all controls at their mid-point, the frequency response is relatively flat, with a slight dip in the mids, and a rolloff below the guitar's low E string to eliminate that unwanted bottom end clutter. The magic mid control gives this amp a wealth of versatility. Turn the Mid down and the Volume up, and you have that famous mid '60s clean scooped sound with plenty of low end. Turn the Mid control up, and you introduce more drive across the board. For a tweed tone, turn the Treble down, the mids up, and leave the Bass at the mid-point. For a scooped mid tone, turn the Mids down and the Volume way up. You may want to turn the Treble down, too. This amp has lots of top end, which means it works great with humbucking equipped guitars, and you can leave your treble booster packed away. I love this amp. It's the amp I wanted but never had, until now. 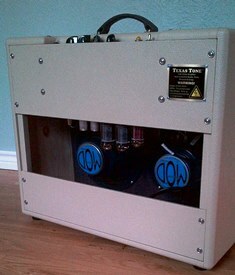 It could be your new amp! The Blumentritt Amplification Texas Tone™ JRS Special custom guitar amp. $1,800.00. To purchse, please send me an inquiry and ask for lead times (currently 8 weeks). Note: specifications subject to change based on selected options.